One of this century's preeminent artists, Louise Bourgeois recently was the subject of a major one-person exhibition at New York's Museum of Modern Art, and she represented the United States in the 1993 Venice Biennale. This exquisitely designed volume, which includes 133 color reproductions, is a testimony to the importance of the act of drawing to this highly autobiographical artist, who is known primarily for her sculptures. 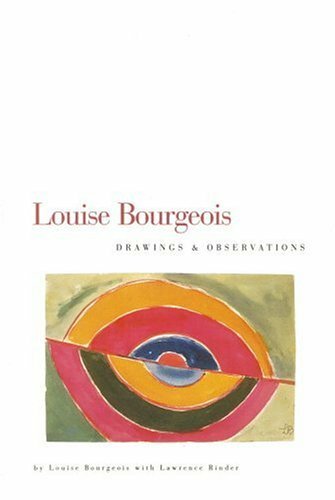 Produced over the course of 50 years, the drawings are seen side by side with Bourgeois' own observations about her personal life, her work, and the genesis and sources of certain works, offering a very intimate vision of Bourgeois as a woman and as an artist, as well as insight into the creative act of making art.